Blond Oranges are the most common in the world; they are divided into oranges with or without navel, according to the Navel (a second small fruit) presence. Navel and Valencia belong to this group; the first variety opens and the second one concludes the orange crop and marketing. In mid-October Navel Blond Oranges start their maturation which is characterized by the growth of an excrescence in the lower side called Navel: it is a small fruit which grows within the orange. 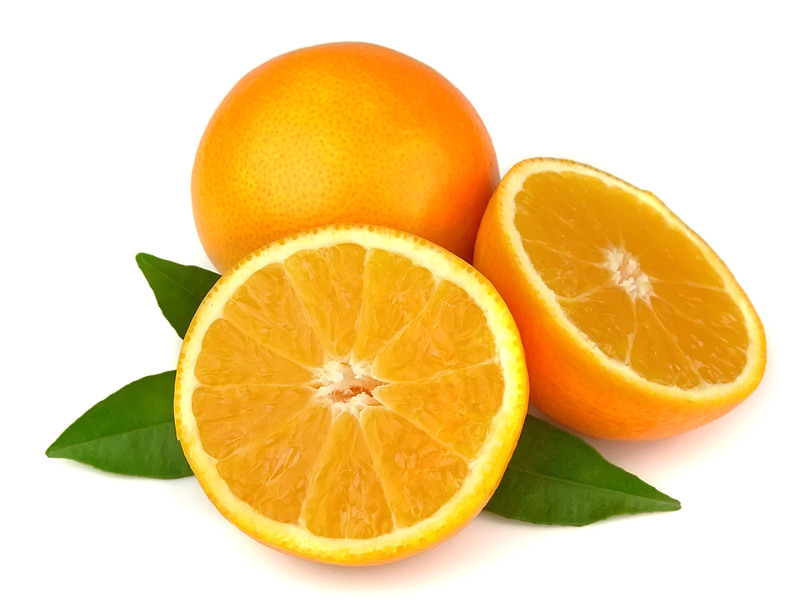 Navel Oranges have less juice and are mostly used in the fresh fruit market. Valencia Oranges, instead, are the most common late variety in the world, thanks to the plant high capacity to adapt itself to different environments, and to the fruit characteristics which can be used both in the fresh fruit market and in the industry. It has a late maturation that starts in April. Its fruits have medium size, light orange peel, very juicy pulp with a yellow-orange colour.